Each June 20, the globe comes together to honor World Refugee Day. 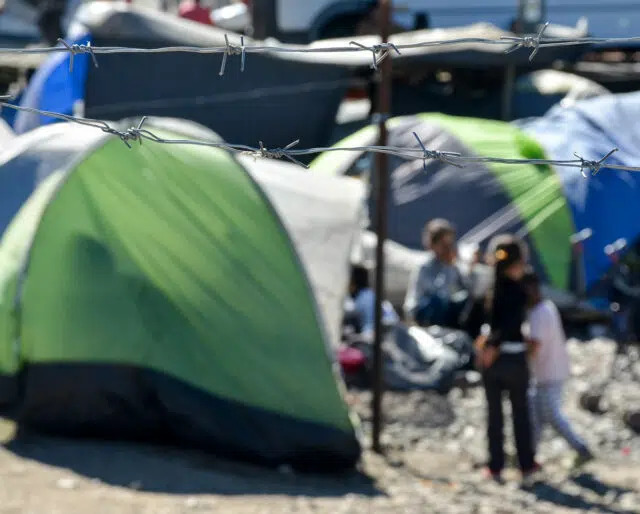 The United Nations General Assembly launched the holiday in 2000, and since then, the worldwide community has spent the day focused on ways to improve the lives of refugees. Most of us know that refugees are forced to leave their homes due to war, terror, or other crises—but fleeing their home country is often just the beginning of a difficult journey. Many refugees find themselves living in camps until they are resettled—some of which are dangerous or not well-equipped for long term living. Refugees don’t always have a say in which country they are ultimately relocated to, and the bureaucratic process involved in finding their new home can take years. Worldwide refugee crises have taken center stage in the news in recent years, so it’s more important than ever to share support and to celebrate World Refugee Day. The UN plans to host live digital events on World Refugee Day discussing the world refugee crisis, future goals surrounding the topic, and how to make a difference. Be on the look out for summaries of the events’ happenings, or see if you can attend for yourself. Reach out to refugees in your area. Consider inviting them into your home for dinner, or to spend a few nights in your guest room if they’re in need of somewhere to stay. Introduce them to your local community so they’ll have an easier time getting to know their new neighborhood. Simply being a friend can make a major positive impact in someone’s life, and serving as a guide to the community can be incredibly helpful. No matter what you do for a living, there’s a good chance that your professional skills can be used to improve the lives of others. Volunteer your work-related talents to local refugee organizations. Last year, the UN shared a goal that someday soon, every refugee would have the opportunity for an education, a safe place to live, and ways to work and contribute to their communities. Chances are, you’ve got a skill or talent that can help in working toward one of those goals. If you own a business or are a hiring manager, you may also consider employing local refugees who are in need of work. The vastness of the world refugee crisis can be hard to grasp, but raising awareness can help make it easier for others to understand the extent of what refugees around the world are going through. It also builds a sense of empathy and compassion that brings people together from all walks of life, and that’s always a positive thing. In a more peaceful world, fewer people would be forced to flee their homes due to violence and unrest. Naturally, this would make for a significant decrease in suffering around the world. While working towards greater peace isn’t something that can happen overnight, it’s an important goal, and World Refugee Day reminds us of just how vital it is. It’s easy to feel helpless in the face of such a massive worldwide crisis, but taking small steps can help make a difference. World Refugee Day encourages all of us to think creatively about what we can do to help. It also motivates everyone celebrating the holiday to be better neighbors to refugees living in their communities, and to be more compassionate world citizens in general.